Sepor’s 200 Series Vezin Slurry Samplers are designed for totally enclosed sampling of slurries (mixtures of liquids and solids). 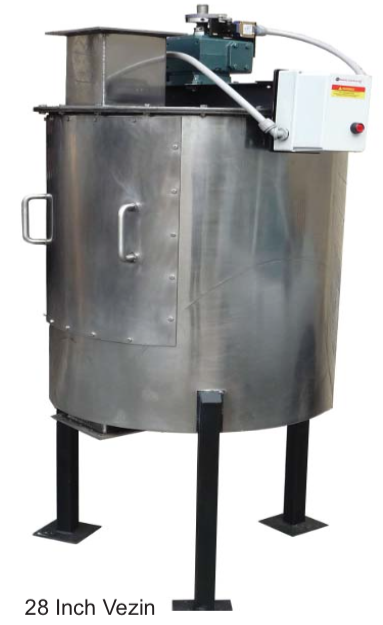 They may be used as continuous samplers, are designed for dependable sampling on a continuous basis. They are ideal as a secondary sample splitter, splitting a continuous or intermittent sample stream from the primary sample splitter, to obtain a much smaller size sample for laboratory testing. The sample splitters are totally enclosed to minimize spillage or leaking problems. The area between the sample cutter and the discharge chute is sealed to prevent possible contamination or sample loss. The fabricated steel housing includes an inspection door, to give access to the sampler interior. Standard materials of construction are mild steel. Optionally, the vezin sampler may be constructed of stainless steel for corrosion resistance. The vezin sampler operates by one or more cutters revolving on a central shaft, passing through the sample stream and collecting a fixed percentage of the total sample (2% to 20%). The principle of the vezin samplers is simple, since the path of the cutter blade is a true circle, the portion of the circle that represents the radial cutter opening determines the amount of cut material flowing through the sampler, regardless of cutter speed. 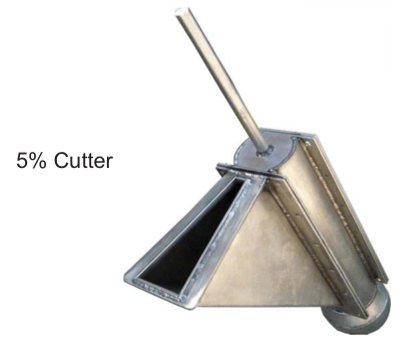 For example, a cutter which has a width equal to 18 degrees of the vezin’s circumference would take a 5% cut, since it would be in the sample stream 5% of the time and out of the stream 95% of the time.